Since 1908, the year Nelson Rockefeller was born here on Mount Desert Island, part of the family has summered here ever since. John D. Rockefeller, Jr. was one of the three fathers of Acadia National Park. The Rockefeller women have always been independent, even during pre-feminist times. The title of Laura Celestia Spelman’s high school valedictorian address, delivered in Cincinnati during the 1850s, was, “I Paddle My Own Canoe.” “Cettie” was a teacher before she married John D. Rockefeller, Sr., and gave birth to the Rockefeller dynasty. This year, three Rockefeller women have contributed to the island’s rich cultural life. Susan Rockefeller, technically a member of the fourth generation, presented a short documentary entitled Mission of Mermaids at the College of the Atlantic. The film stresses the contamination of the oceans by oil and plastic, the latter disintegrating into an almost everlasting pulp, and contributing to the depletion of seafood already threatened by over-fishing. The very worrisome message is softened by Susan Rockefeller’s beautiful imagery and creative use of mermaids, which have peopled humankind’s imagination since ancient times. This viewer never consciously noted that the mermaid is Starbucks’ symbol. 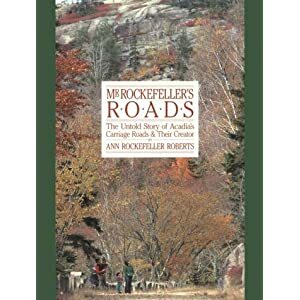 Ann R. Roberts, a daughter of Nelson Rockefeller, reissued Mr. Rockefeller’s Roads, which pays tribute to her grandfather’s 56 miles of carriage roads that make the interior of Acadia National Park accessible to hikers, horses, and bicycles. This second edition is enlivened with photographs by Mary Louise Pierson, a fifth-generation Rockefeller. On August 22, Mary R. Morgan, Nelson’s second daughter, talked about Beginning with the End: A Memoir of Twin Loss and Healing, published fifty years after the disappearance of Michael Rockefeller off the coast of New Guinea. (For details see America’s Medicis, Chapter 14.) 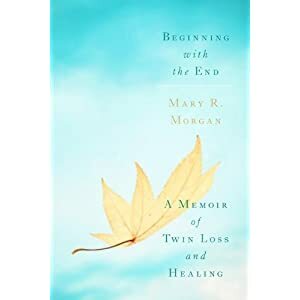 It was only following the tragedy of 9/11, which brought many twin-less twins to Mary Morgan’s psychotherapeutic door, that she managed to finish resolving her own grief. The book admirably achieves its “twin” goals of getting the world to know Michael Rockefeller and demonstrating one of the paths of coming to terms with loss. Half a century is a long time, but for those of us who have lost a soul mate it is like the blink of an eye. I know from personal experience how memoir writing can bridge the gap to the hereafter. Years after I lost my 37-year-old son, I wrote The Mothers’ Group: Of Love, Loss, and AIDS, which did much in helping me cope with a loss I believed I could not possibly cope with. This entry was posted in Uncategorized and tagged acadia national park, america's medicis, ann rockefeller roberts, cettie rockefeller, college of the atlantic, environment, environmentalism, grief, grieving, laura spelman rockefeller, loss, maine, mary louise pierson, mary r. morgan, michael rockefeller, mission of mermaids, mount desert island, mr. rockefeller's roads, nelson rockefeller, rockefeller women, rockefellers, susan rockefeller, the mothers' group, twinless twins. Bookmark the permalink.